1. You really want an expert strapped to your back if you're going to take a risk or put a lot on the line. Maybe you're investing a lot of money or trying to find an permanent home to nest your family. These things are important and need a real estate expert to help. 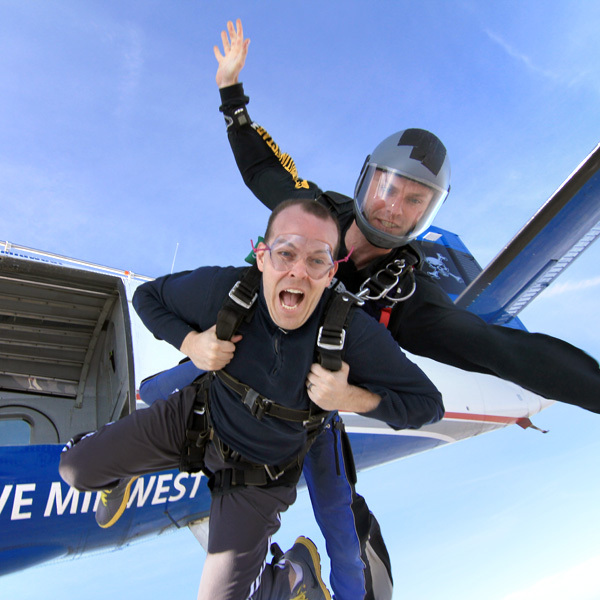 Likewise, my licensed, certified tandem jumper behind me knew exactly what he was doing. As long as I was following his instructions and letting him lead, I was in good hands. 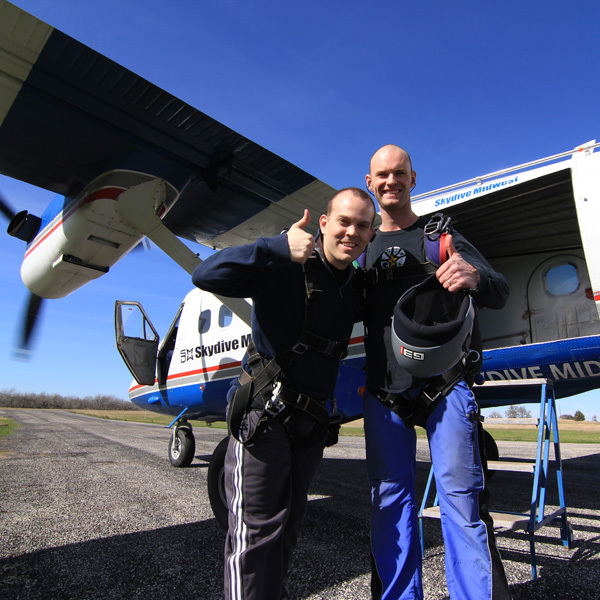 With him strapped to my back I could safely JUMP OUT OF A PLANE! 2. If you're engaging in serious business, it's hard to really enjoy it without an expert. I tell my clients "I want this to be fun" and my job is to handle a lot of vexing details so they can "smell the roses" a little more in the experience. My tandem jumper did just that for me as well! I didn't have to worry about at what altitude we were, where to find the cord, when to pull the cord, how to steer the parachute, how to find the landing site, how to land the parachute, etc etc. Like a tandem jumper, the realtor's job is to guide your journey all the way in safely through the closing table, and then after you're done you can say "hey, that was fun jump!" 4. Your advocate cares for you. Sure, there is a certain extent that it's "just a job," but your realtor ends up having lots of time and relationship invested in you, and it's pretty difficult not to develop some personal attachment no matter how professional they are. You are your realtor's charge, and for a time, you're like a family member for which they are responsible. Although it was a brief relationship, I felt that my tandem jumper also cared for me and wanted to make sure I was taken care of during that experience. 5. When interests are aligned, you live and die together. I knew my tandem jumper was tied to me, so he was EVERY BIT as committed to seeing us safely to the ground as I was. Because of the commission system, realtors have a similar tie to the interests of their clients. We win when you win; we earn money only when you make money; when you fail, we lose as well. Need a tandem jumper strapped to your back? I'd love to be that for you, helping you have a fun experience, and landing you safely on the ground, all the way through the closing table.